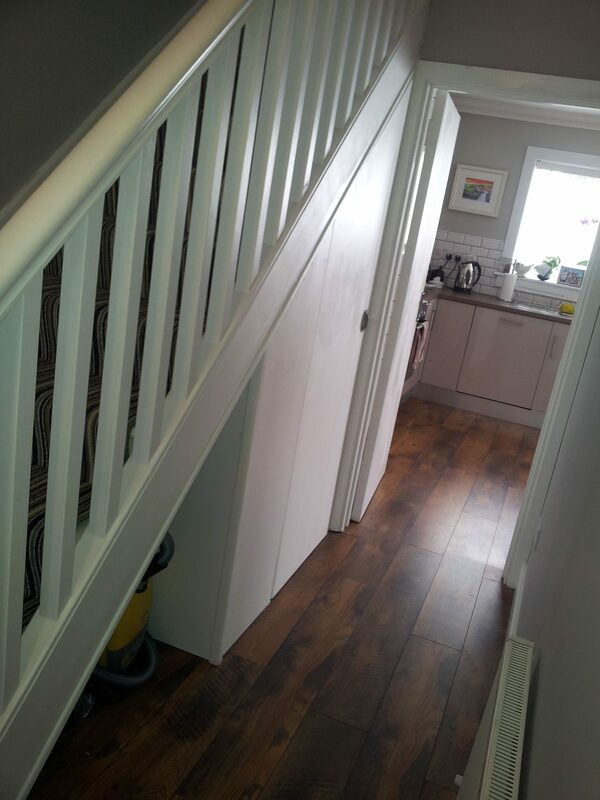 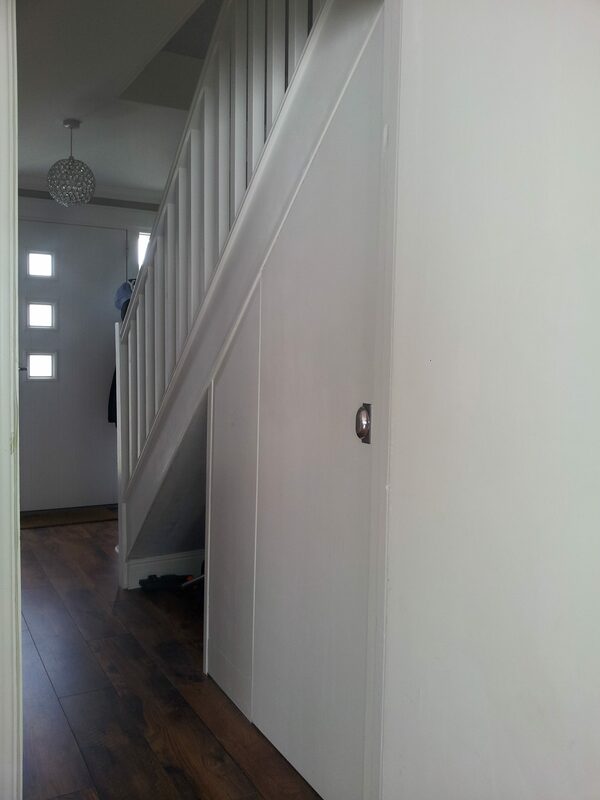 My client decided to make use of this space with this understairs toilet idea. 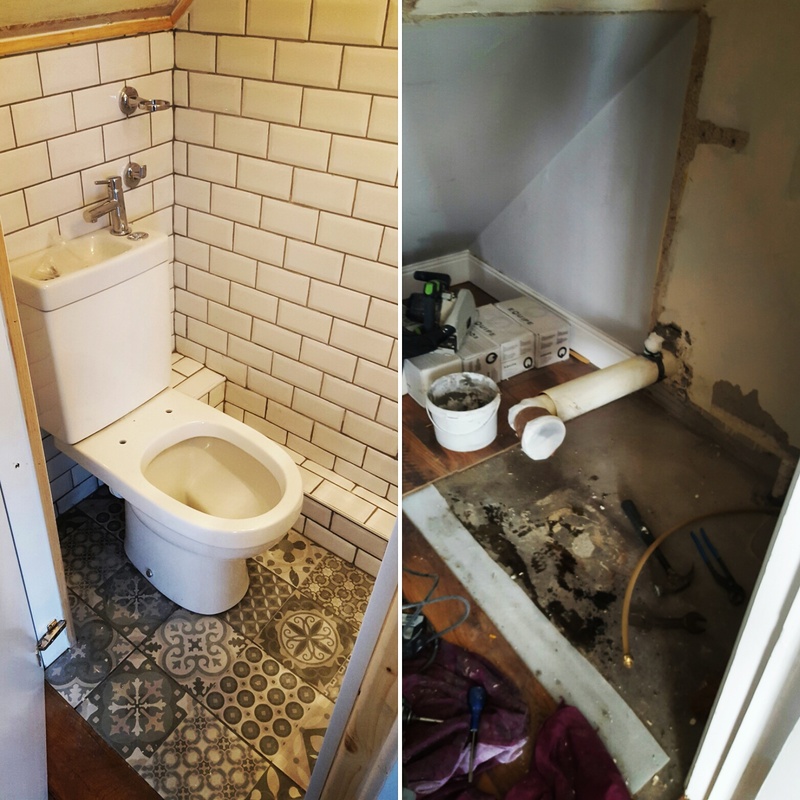 First i preped it for tiling to make sure the surfaces were ready. 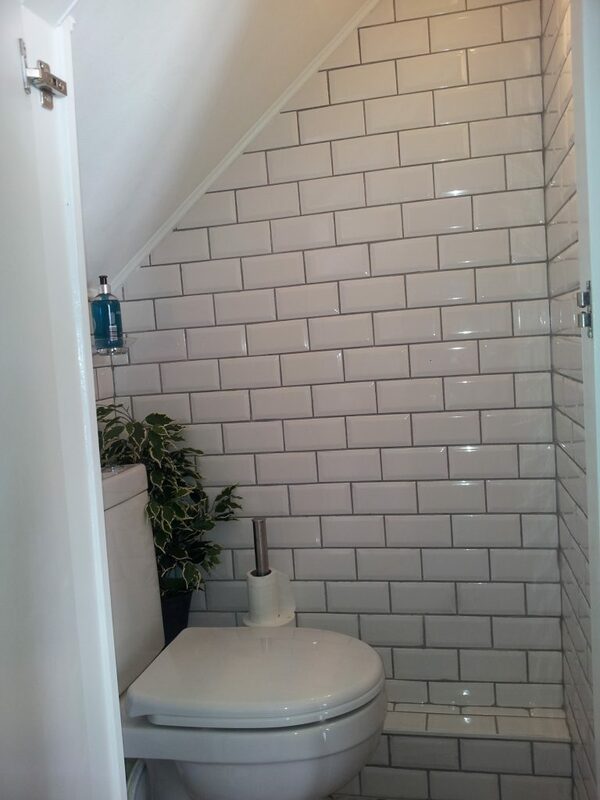 The tiles being used were subway tiles and Victorian tiles for the floor. 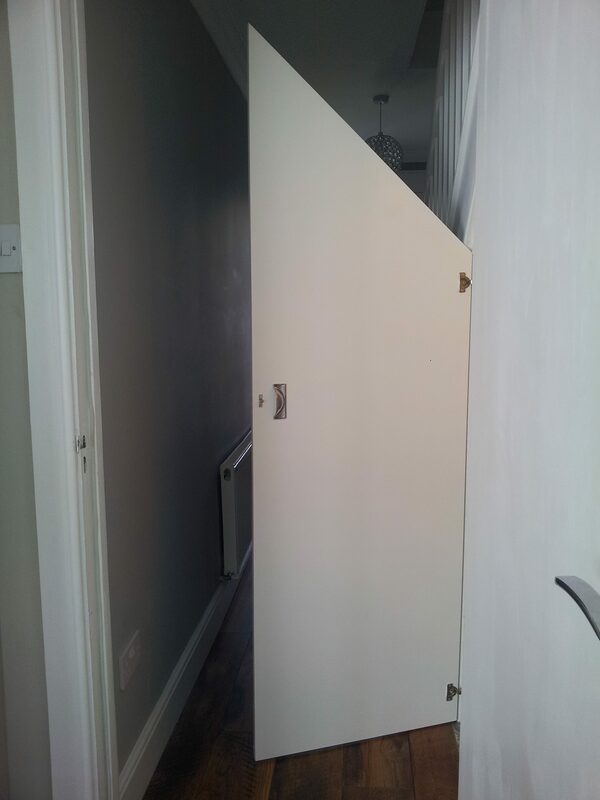 Next i build a stud wall and fitted plasterboard and cut a doors i made and sprayed specially for the shape of the frame. 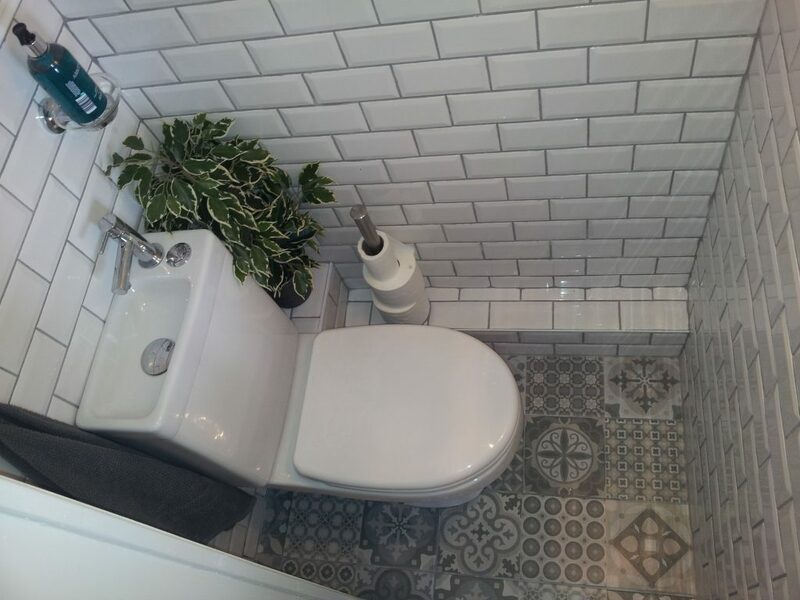 The small space looks really well i think with the small subway tiles on the walls and the Victorian tiles on the ground. 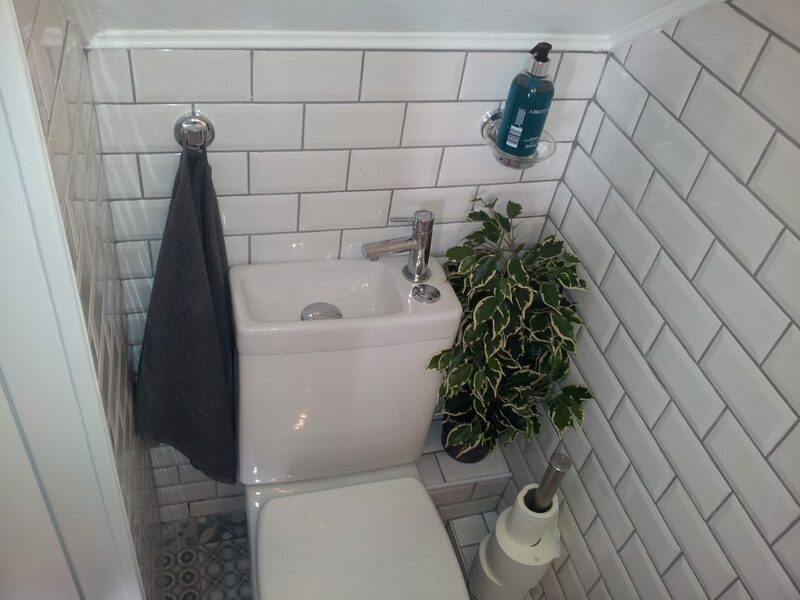 The grey grout really sets off the wall tiles. 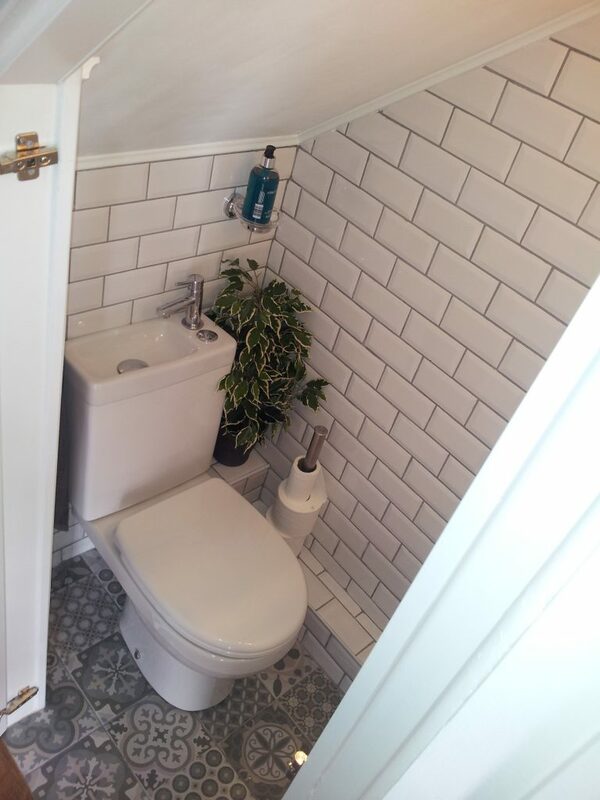 The toilet has a tap in the cistern so when you wash your hands the waste water goes into the cistern to save water and it also saves space in such a tight area. The light is on a sensor so every time you open the door the light automatically turns on and off after 60 seconds when you leave the toilet.